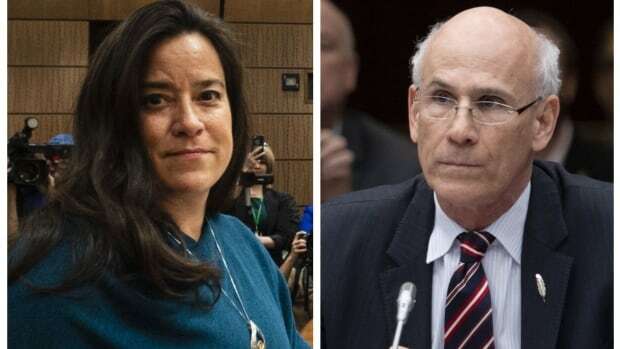 The Commons justice committee has released a package of documents submitted by former justice minister and attorney general Jody Wilson-Raybould as part of the committee’s investigation of the SNC-Lavalin affair. Wilson-Raybould stepped down from Prime Minister Justin Trudeau’s cabinet on Feb. 12 following the publication of a Globe and Mail article alleging “inappropriate” pressure on her by officials in the Prime Minister’s Office and others to grant engineering giant SNC-Lavalin a deferred prosecution agreement. Wilson-Raybould appeared before MPs on the Commons justice committee on Feb. 27, where she discussed conversations she had with Trudeau, Privy Council Clerk Michael Wernick and Finance Minister Bill Morneau, among others. She was granted a waiver by Trudeau to discuss matters covered by cabinet confidence and solicitor-client privilege during the time she was attorney general. She has complained that the waiver is not broad enough to allow her to tell her full story. After her testimony, Wernick returned to the committee to testify for a second time. According to Anthony Housefather, the Liberal chair of the justice committee, the documents and audio clip released Friday were not redacted by the committee. However there are redactions in her filings. Jody Wilson-Raybould: Hello Michael, it is Jody. MW: Hi, sorry about the phone tag. MW: I am not calling you about litigation directive. l am calling about the other unpleasant [Note: Her transcript says “important”] one – the deferred prosecution agreement thing and SNC and so one. I wanted to pass on where the PM is at. So our intelligence from various sources is that company is getting to [a very serious point now… the board has asked consulting firms for options for the board for their next meeting, which could be selling out to somebody else, moving … you know, various things. MW: So it seems to be real and not a bluff. Like another rising anxiety, as you can imagine, about a signature firm and job loss and all that coming after the Oshawa thing and what is going on in Calgary and what not. So the PM wants to be able to say that he has tried everything, he can within legitimate toolbox to try to head that off. So he is quite determined, quite firm but he wants to know why the DPA route, which Parliament provided for, isn’t being used. And I think he is gonna find a way to get it done one way or another. So, he is in that kinda mood and I wanted you to be aware of that. MW: I don’t know if he is going to call you directly — he might — and he is willing, I think he is thinking about getting somebody else to give him some advice. He doesn’t’ want to do anything outside the box of what is legal or proper — but his understanding is, you know, the DPA tool is there and you have options that we talked about before to ask for reasoning from the DPP or even take over the prosecution. He just wants to understand more at this point of why the DPA route is not taken up on this route. So he is thinking on bringing someone in like [former Supreme Court chief justice] Bev McLachlin to give him advice on this or to give you advice if you want to feel more comfortable that you’re not doing anything that is inappropriate or outside the frame of..
JWR: I am 100 per cent confident that l am doing nothing inappropriate. MW: Yeah, no, but would not be if you decided to use some of these tools under the law. Cause I think he feels that the government has to have done everything that I can before we lose 9,000 jobs and a signature Canadian firm. JWR: Right. So, um. Again I am confident in where I am at, and my views on SNC and the DPA haven’t changed. This is a constitutional principle of prosecutorial independence that, Michael, I have to say including this conversation, previous conversations that I have had with prime minister and many other people around it, it is entirely inappropriate and it is political interference. The prime minister obviously can talk to whomever he wants, but what I am trying to do is to protect him. I can have a conversation with Beverley McLachlin. I can call her right now. I am just issuing the strongest warning I can possibly issue that decisions that are made by the independent prosecutor are their decisions. We gave her, and them, the tools, the additional tools. I made it very clear at the cabinet table and other places that these tools are the discretion of the prosecutor and everybody agreed to that and that there was no guarantee that there would be a DPA in this or any other case. So we are treading on dangerous ground here so I am going to issue my stern warning because I can’t act in a manner, and the prosecution can’t act in a manner, that is not objective, that isn’t independent. I can’t act in a partisan way and it can’t be politically motivated. All of this screams of that. So I am actually uncomfortable having this conversation, but l am happy to talk to you. I can, I’ll call Beverley McLachlin, I can’t even imagine her feeling in any way, shape or form comfortable with interfering with the independent prosecutor. JWR: But I would have to issue a directive, I would have to Gazette this. The prosecutor, the director..
JWR:…whom I know and understand after having several conversations with her about another directive on HIV that I issued, she is a by-the-book person. If this is Gazetted, this will be — and I hear you on the jobs and wanting to save jobs, I mean we all want to do that — this goes far beyond saving jobs, this is about the integrity of the prime minister and interference. There is no way that anybody would interpret this other than interference if I was to step in. It doesn’t matter how I would look in doing that — I would be a mockery and that is not the problem — the bigger problem is what it would look like down the road for the government. It is not about jobs — and I know that jobs are important so I do not want anybody to misinterpret that I don’t care about those jobs — this is about the integrity of the government and recognizing that there is the ability to issue a directive under the act it is still irrespective of the ability that I have to do that: one, it has never been done before but two, this is going to look like nothing but political interference by the prime minister, by you, by everybody else that has been involved in this politically pressuring me to do this. JWR: I actually really feel uncomfortable having this conversation because it’s wrong. And the prime minister obviously can call me. Like I said to you I will have a conversation, I am going to call Beverley McLachlin and have a conversation about this with her. JWR: No, no, no. This instrument was, you mean the directive? JWR: The directive on a specific prosecution has never occurred and this happened because [former prime minister Stephen] Harper brought this law in as you probably know 10 years ago. The directive or the DPA has never been used because it just entered the Criminal Code back in September so l understand that this is the first case. The prosecutor sent me what is called a section 13, you told me that you hadn’t seen it before , but I read it and have reread it and the Prime Minister’s Office has a copy of it. She explains in it why she is not doing it in this case. We have to, I have to be — unless it is something outrageous — comfortable with the decision, recognizing it is the first one likely and obviously, I am confident, wasn’t entered into lightly, made the decision not to enter into a DPA with respect to this case. And she explained why. MW: So when did she convey that to you? JWR: She issued the section 13 back in September when was down in Australia for the Five Eyes and then all this transpired. I mean I have a timeline of every single conversation and everything that everybody has said to me on this so…um … like … anyway.. I..just again..I’m surprised that you and I are having this conversation but I am just saying that I really feel uncomfortable about the appropriateness of this conversation. MW: OK, l understand that, but I mean I think his view is that his is not asking you to do anything inappropriate or interfere. He is asking you to use all the tools that you lawfully have at your disposal … um..
JWR: Does he understand the gravity of what this potentially could mean? This is not just about saving jobs, this is about interfering with one of our fundamental institutions. This is like breaching a constitutional principle of prosecutorial independence. JWR: Well then no one is explaining that to him Michael! We can stand up in the House of Commons on [the case of Vice-Admiral Mark] Norman on — totally appropriately on Norman— on extradition and we can talk about the rule of law, um, the cases aren’t dissimilar. The principle or the integrity of how we act and respond to the tools that we have available and what we should and shouldn’t do, I’m again, I just, I don’t know. JWR: You know what, I hope that you do because I don’t think anybody respects this. The conversation that Gerry [Butts] and Katie [Telford] had with my chief of staff and I have it — like she wrote down what they said — like saying that they don’t want to hear anymore about the legalities, but want to talk about jobs — entirely inappropriate. MW: OK, well I mean I wasn’t..
JWR: I have it. I have it all. MW: OK, but you are not just the attorney general, you are the minister of justice in a cabinet and you have context in which you exercise your roles and responsibilities. Like I am not seeing anything inappropriate here, but, um, I mean you’re right not that..and the PM, I think people are talking past each think other. I think the way he sees it and the advice he is getting is that you still have things that you can do that are not interference and are still very much lawful. So. JWR: It is not that they’re not lawful, the perception and what will happen is that it will be deemed political interference from day one when people were talking about, ‘Why are we entering into or putting in a DPA regime in place?’ Everybody knows it was because of SNC whether that’s true or not that is what people think. MW: …for these kinds of purposes and especially if there has been a change of ownership or management of the company that is being prosecuted. It is a public policy tool. JWR: Fair, but in our MCs all the way up and in the law that we changed we gave the director of public prosecutions the discretion to enter into the DPAs and a judge to oversee the regime. There is no guarantee in any particular case — this one or the ones that will come — that they’ll enter into the DPAs or think it’s appropriate to do so. And that is what we consciously made the decision on when we decided as a cabinet to enter into this process and I amending the law. MW: Is there anybody that can talk to Kathleen then about the context around this or to get her to explain why she’s not..I mean I guess the company has dealt [Note: Her transcript said ‘talked’] with her directly but..
JWR: The company has and Michael there was a preliminary inquiry, I am still trying to get an update on what happened at the preliminary inquiry. The suggestion that I made ages ago, of which Gerry talked to you about in Montreal, was, like if, nobody from the company ever contacted me or sent me a letter expressing concern. Had that happened I would have done what I believed appropriate, would have been to forward that letter on to the director of public prosecutions. JWR: Well, I feel that I am giving him my best advice and if he doesn’t accept that advice then it’s his prerogative to do what he wants. But I am trying to protect the prime minister from political interference —perceived or otherwise. MW: I understand that, but he doesn’t have the power to do what he wants. All the tools are in your hands so…. am confident of is that I have given the prime minister my best advice to protect him and to protect the constitutional principle of prosecutorial independence. MW: OK. Alright. But I am worried about a collision then because he is pretty firm about this. I just saw him a few hours ago and this is really important to him and..OK..There is not much more we can cover now then. I understand where you’re coming from. The section 13 response from Kathleen, you’re saying Elder [Marques] has that or had a version of that? JWR: The Prime Minister’s Office has had it since September, since I’ve had it. MW: And what did they tell her, that they didn’t have it or that they’d never seen it or? JWR: I’ll have to ask. I’ll tell you exactly what they said. I’ll have to ask her. MW: My advice is that Jessica should send it to Elder then just to make it “tripley” sure they have it. MW: Alright thanks for calling me. MW: Thanks for calling back so quickly.